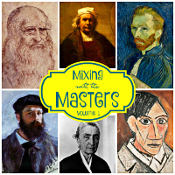 This is the second post in the series Mixing with the Masters: Volume 2, which includes six famous artists, with three fun works of art for your kids to re-create from each artist. Last week we showed you our projects for Henri Matisse, which were colorful and slightly abstract. 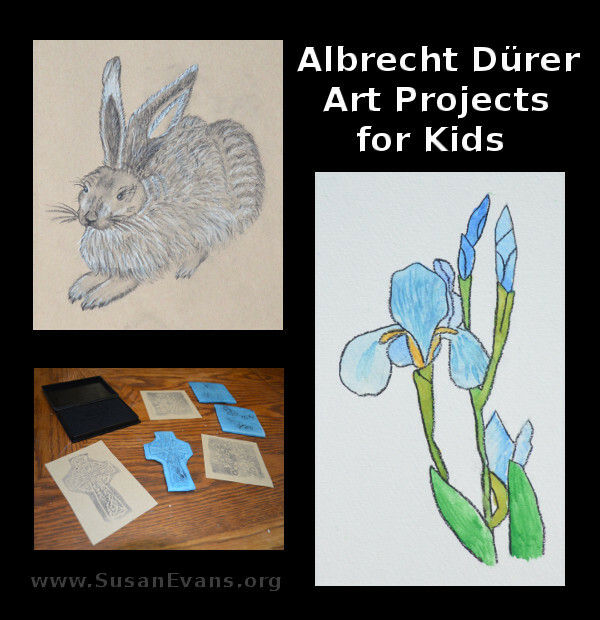 This week we will focus on Albrecht Dürer. Our first work of art by Dürer is made with charcoal on tan paper. You will need at least one charcoal pencil, which you can get at an art supply store. You will also need a smudger. (I’m not sure what Alisha calls the white thing that smudges. I think she gave it a name like Alfred or something. Ha!) 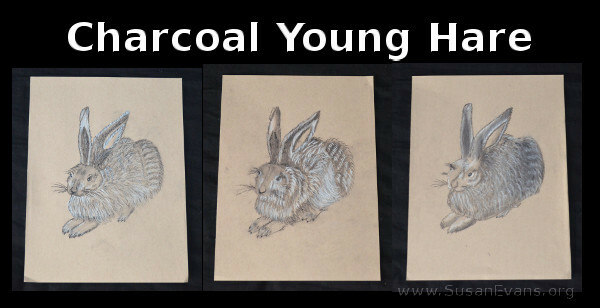 The other pencil you will need is a white pencil, which will make the fur pop on this drawing. The fur on the bunny is fluffier in the front than in the back. Alisha gave step-by-step instructions in the video while we drew the bunnies on our clipboards. Oh, when I say simple, I mean the one that is the shape of a snowflake, which Alisha gives the template for. We used a wooden skewer to carve on the styrofoam. 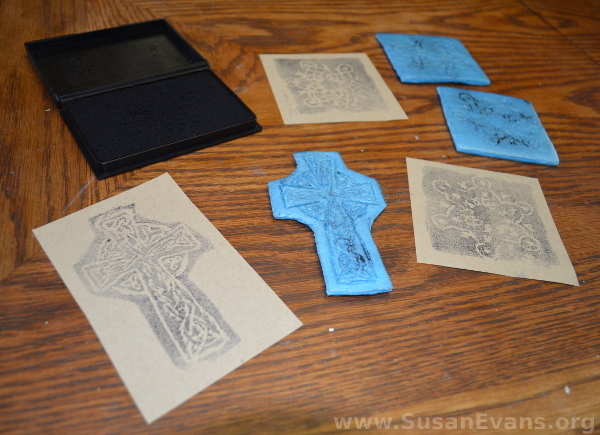 I branched off and make a Celtic cross, since I’ve been fascinated with Celtic crosses for years and have a collection of them in my closet. 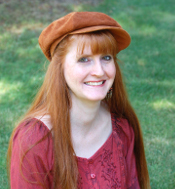 Back when I lived in England, I loved to travel around, and Celtic crosses were really popular necklaces, especially at castle and cathedral gift shops. Dürer did a series of nature studies and botanical paintings. This iris is one of them. We used gouache and watercolor for this painting. Always make sure to use watercolor paper rather than regular computer paper when you are watercoloring. It truly makes a huge difference in your painting, as the colors soak into the paper in a much better way on the higher-quality paper. 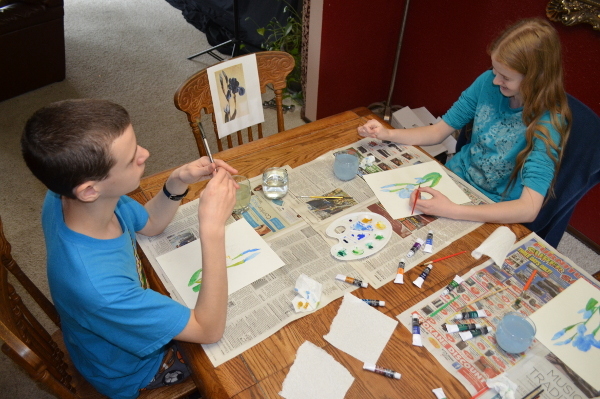 We focused on different shades of blue and green, adding water to lighten the colors. The gouache was much brighter than the watercolors. Once again, we had a ball discovering more about another famous artist. If you would like to grab this set of classes for your own kids, you can get them here. Stay tuned for the next artist in our series!